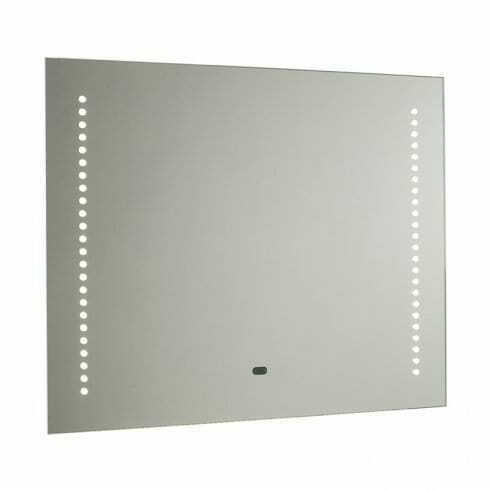 Endon Lighting Rift 2 light LED illuminated bathroom mirror is a stylish rectangular design mirror with LED lights strips on either side, a demisting pad, motion sensor and includes a built in dual shaver socket. The product code for this Endon bathroom mirror is 60895. The Rift is a stylish yet practical illuminated bathroom mirror, fitted with a hand motion sensor to switch the LED strips on & off for hands free operation making this a perfect choice for modern bathrooms.